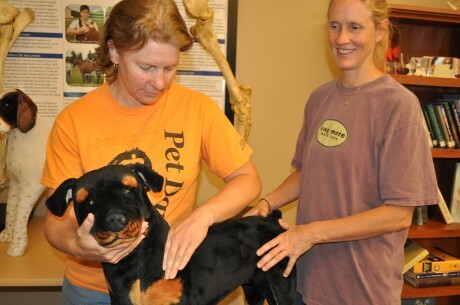 As animal chiropractors, we understand the benefits and efficacy of consistent chiropractic care. But how do we convey this assurance to our animal patient owners? How do we convince them of the benefits of preventive care and routine maintenance? Animal Chiropractors know that regular chiropractic care can not only help the body heal, but also facilitate a healthier, stronger and more resilient animal. But here are some other benefits you can pass along: Chiropractic care helps to increase circulation and helps eliminate lactic acid. It increases delivery of oxygen and nutrient supply, helps reduce muscle spasms and adhesions, increases flexibility and can improve overall performance. Additionally, chiropractic care can address the micro injuries resulting from everyday stress, thus enhancing overall quality of life. So, a little maintenance and prevention can make a big difference, and regular chiropractic care can markedly improve your animal’s life!